Some L.A. museums may be larger or have grander architecture, but it’s tough to beat the Norton Simon’s painting collection. We took our children to the museum Sunday and couldn’t believe the number of significant paintings on display by modern masters like Van Gogh, Gauguin, Picasso, Diego Rivera, and Ed Ruscha. 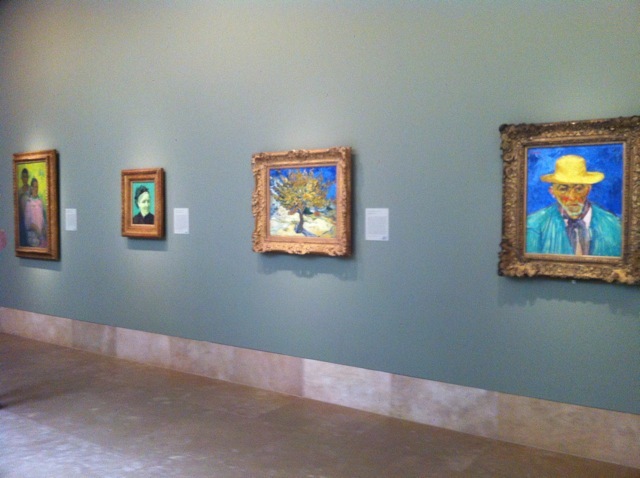 The Norton Simon’s stellar collection and small size makes it an ideal setting for L.A. parents to introduce their children to some of the rock stars of art history. 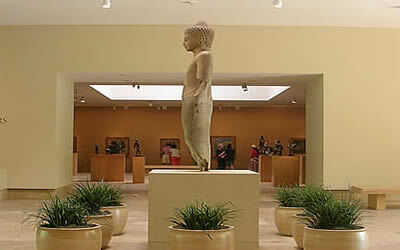 Even better, you don’t have to be an art historian to guide your children through the galleries. The museum has easy to read wall labels and an award winning children’s audio tour. Featuring 35 artworks from the European and Asian collections, the audio tour allows kids to choose which art objects they’d like to explore. The audio tour narration includes art facts, stories, and questions to spark kids’ imaginations. 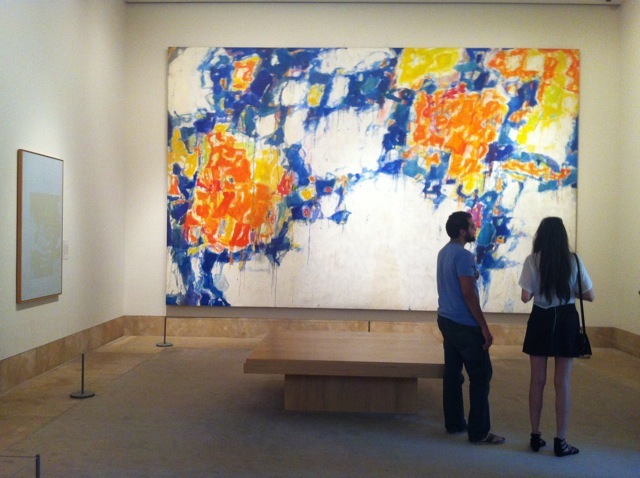 The Sam Francis Basel Mural audio stop, for example, asks children: Imagine you can fly or float into the painting. What do you hear, sounds of nature or hot jazz? Although there’s an adult audio tour, I liked listening to the children’s tour with my kids because it gave us a chance to discuss what they were hearing and seeing. You can rent the audio guide at the museum, or download it onto a mobile device at home. 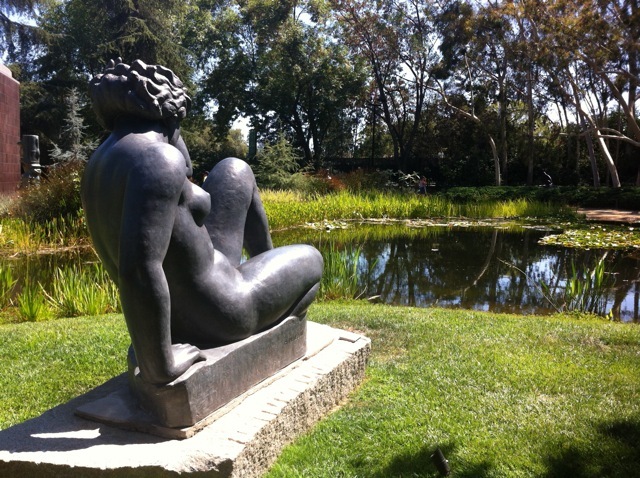 If your little ones like to make art, the Norton Simon has that covered too. 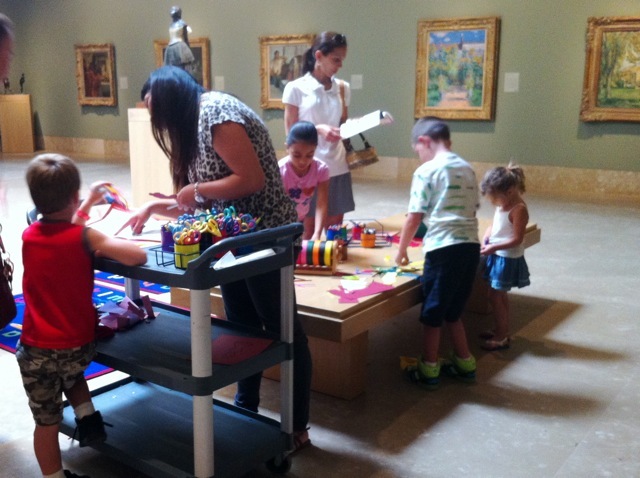 A few Sundays each month, the museum offers a free family activity called Stories in the Afternoon. On the day we visited, children heard stories and made art projects inspired by Degas’ sculptures and paintings of dancers. Although we’d definitely seen enough art, we couldn’t resist stopping by the excellent new exhibition Significant Objects: The Spell of Still Life. 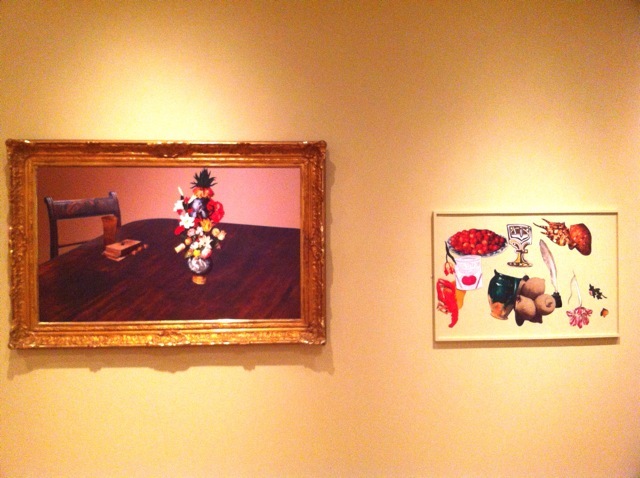 The kids loved playing the “Create a Still Life” activity on the wall at the far end of the exhibition. Unknowingly, they managed to instill momentary panic in some visitors who, at first glance, thought the kids were man-handling a real painting. When the young ones get restless, families can grab a snack at the outdoor cafe and take a stroll in the museum’s garden. The museum store has a great selection of children’s art books, toys and games for home art adventures. 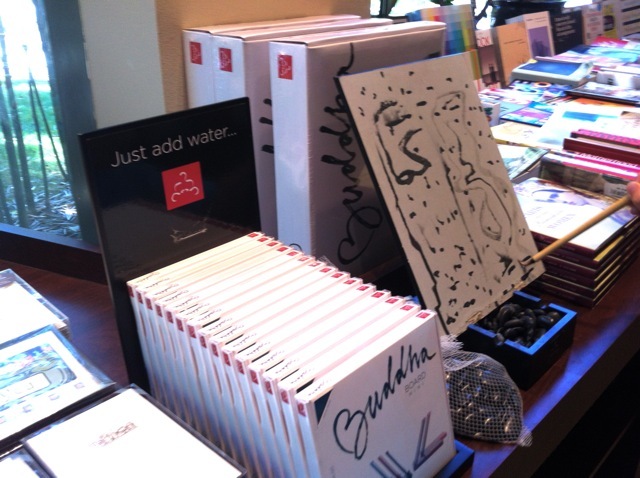 The Buddha Board painting activity captivated everyone in our family. Afterwards, the kids wanted to hear what the audio tour had to say about the large Buddha stature in the entrance hall, one of my favorites. On the way out, a staff member handed us a gift — a small poster of a Degas pastel from the museum’s collection. Owen, who has worked at the Norton Simon for over 15 years, said the museum has been handing out posters to visitors for as long as he can remember. I don’t know how the tradition started, but this small gesture made a big impression — just like the art we saw that day. Posted in Norton Simon Museum. Tagged as art education, family activities, kids activities, kids audio tour, Norton Simon Museum, Significant Objects: The Spell of Still Life, things to do in L.A.